Photo restoration is the practice of restoring a photograph which has been damaged by natural, man made, or environmental causes or simply affected by age. This is an image I simply colorized. The fee for colorizing an image will range from $40-$75 depending on how detailed the image is. 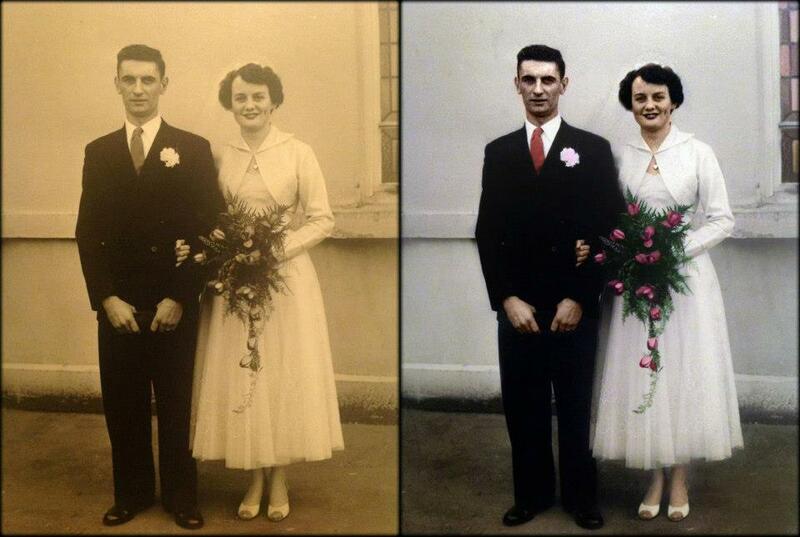 I have been restoring photographs for almost 2 years and I absolutely love doing it. I fall in love with every photo I restore or colorize. Some are more damaged than others and are more time consuming, for that reason the pricing varies a fair bit.